There seems to be no shortage of groups promoting social engineering and one world-ism through regionalism. We know of no neighborhood that discriminates by race, creed, or color. The only barrier to living in certain areas, as we all know, might be cost. But didn’t we all start out small, save our money, and work hard with the hope of building up to being able to afford the home of our dreams? Those of us who have reached that goal worked hard for what we have. Now the government wants to even the score. There seems to be no shortage of groups, running under the guise of “sustainability” that want to social engineer your neighborhood, particularly your suburbs. We have seen this time and time again with “workforce housing” being forced on populations by unelected regional boards, where there is no workforce to serve. One such group is called Building One America. It has the attention of some of our so-called “Republican” elected officials. The group’s motto seems to be the embodiment of its mission statement: “Organizing for Inclusion, Sustainability, and Economic Growth”. We are very familiar with the ruse of “sustainability and economic growth” by the new urbanists and regionalists but inclusion is an interesting new twist in the agenda. We have already demonstrated how this administration plans to use HUD and other illegal agencies to forcibly integrate your neighborhood if the federal government deems it too homogeneous in race or income. In 2013 “Building One America” held a summit. It is worth getting inside the heads of these folks, so you will know exactly what their intentions are when they come to disrupt the normal flow of things IN YOUR TOWN, disguised as “community-based” programs. There was no shortage of “Mainstreet” Republicans at this summit. “Republican” Main Street Partnership’s affiliated PAC intends to use George Soros connections and Democrat-backed money to defeat conservatives. A congressional reception was attended by 14 members of Congress, including Richard Hanna (R-NY), Transportation and infrastructure; Dave Joyce (R-Ohio), Appropriations; Peter King (R-NY), Financial Services; and Jim Renacci (R-OH), Ways and Means; Dan Lipinski (D-IL), Transportation and Infrastructure; Charlie Rangel (D-NY), Ways and Means. Former Ohio Congressman Steve LaTourette, who now heads the Republican Main Street Partnerships, served as a keynote speaker in the summit, affirming that the challenges facing local government are bi-partisan issues, and pledged to work with BOA to build support for investment in infrastructure. How are we going to stop special interests and NGOs such as Building One America from captivating our representatives, and steering the conversation, a conversation that leaves out the taxpayer while using the taxpayers’ dollars at the local level? We began to wonder, who funds these folks? Certainly they cannot afford to do what they do relying solely on the donations they solicit from the public on their website? We followed the trail from their donation page, which lists “Metropolitan Area Research Corporation” as their “fiscal sponsor’ and NOT surprisingly arrived at — the Rockefeller Foundation! How do we stop these wealthy globalists from reaching into our very back yards? 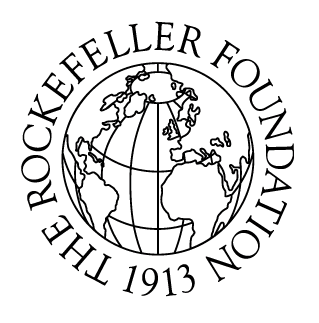 Who has the money to stop the Rockefellers? More of your voices are needed. This entry was posted in Education, International, Local, Miscellaneous, State on March 29, 2014 by Admin. A few weeks ago, education guru Marc Tucker came to NH to speak to the legislature. We must not neglect to mention that the takeover of the system and brainwashing of students is but one essential piece of the plan for the progressive regionalization and eventual totalitarian restructuring of the country and the world. While many of our colleagues are to be commended for doing their best to expose Common Core “standards” as inferior, we say, to even discuss the program as if it had anything to do with academic “standards” is to give CC a legitimacy it does not deserve. There are no academic “standards” involved in CC or any of the other federal programs that have been handed down over the years on the advice of illegal and unqualified representatives of special interest groups like Marc Tucker’s. While Tucker sought to pump the maximum fear into parents — that if Common Core were not adopted, their children would not be able to ‘compete globally’ — keep in mind that not one of these educrats from the education industry or their local mouthpieces have ever been able to define the term “compete globally”. Common sense would tell you that to compete anywhere, you simply need to know your subject areas, whether it be math, languages, or the sciences. But there is no common sense in Common Core. It is merely a way to infuse the collectivist mindset of the state upon the children and to prepare them for the global utopia envisioned and dreamed of by these auxiliary elites. Numerous examples can be seen just about anywhere, for example, in any school exercise — most recently we saw one that suggested obeisance to the state, and the tromping of individual rights for the “collective” — both presented as fact — and matter-of-factly in a lesson about apostrophes. After what we have seen done to children in the public schools for the last 35 years, here is our advice: parents need to march down to their nearest local school board and demand that all political agendas be scrubbed from the curriculum, and teachers be put back in charge of teaching a course of academics with a solid scope and sequence that does not include the fear mongering by the extreme-left, anti-constitutional, political “change agents” and proponents of international rule. Notice to the criminals who have illegally seized our educational system and are using our children for political mules — the gloves are off and we are coming after you. This entry was posted in Education on November 17, 2013 by Admin.